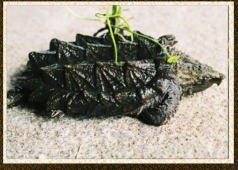 Learn about the zoo’s reintroduction efforts for the Illinois ENDANGERED Alligator Snapping Turtle . Daily Presentations run Memorial Day thru Labor Day at the Eco Hut located outside the Tropics building. *Look for our new “ASK A KEEPER” banners at each location just prior to each presentation.